Wildlife Hazard Management is an important element of the operations of all airports. ACI is proud to present the completely updated and expanded Wildlife Hazard Management Handbook. 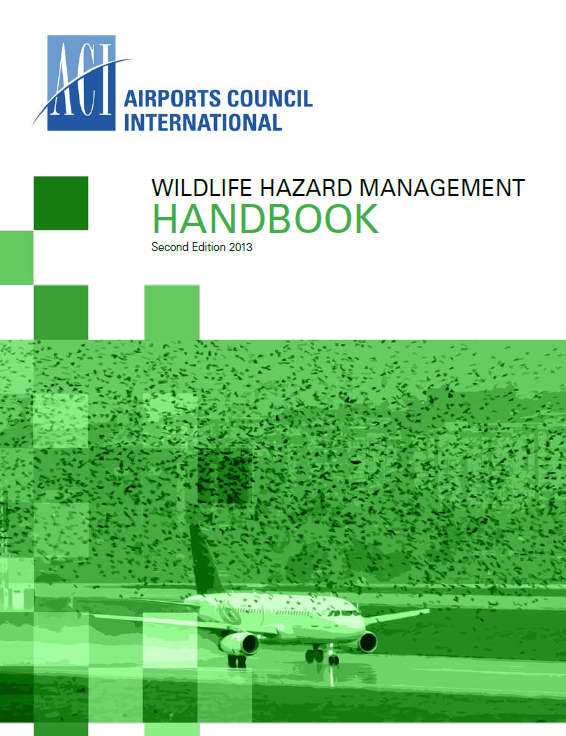 Most of the text it contains has been distilled from excellent guidance material available from several large Civil Aviation Authorities around the world, ACI Member Airports’ operational safety procedures, ICAO material and other international aviation and non-aviation organizations’ publications pertaining to wildlife management. The content of this Handbook also builds upon the existing guidance in the ACI Policies and Recommended Practices Handbook, with safety related policies included in this publication for easy reference. While remaining short and succinct, it provides checklists for action, as well as an explanation of risks to be assessed and means of mitigation available. This publication is available in English, French, and Spanish. Please note that once the publication has been purchased, all versions are available on the store to the recipient.